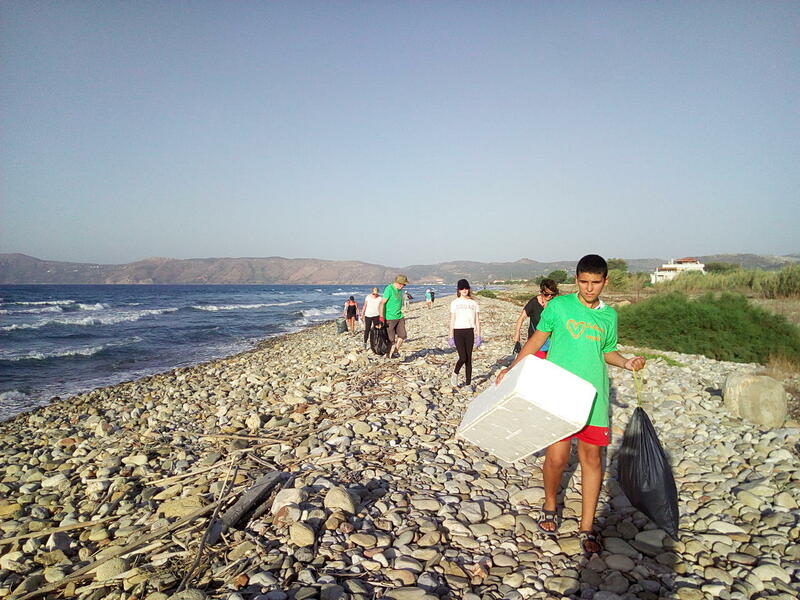 It has been reported that the beach of Kokkina Gremna, on the West coast between Falasarna and Sfinari, is in need of a good cleaning. We are planning to go there beach cleaning on Sunday morning, 16th September. We will probably meet in Kissamos around 9am and drive together. The beach has beautiful clear water and no facilities. Access is by dirt road (1.5km) and a short walk (10 minutes) on a rocky path. If you would like to come, we’ll be happy to have you! I will join! I may bring something to eat to share and everybody should take water with. Would like to join in… Liz&Ga, can you give me a lift? after some trouble I hope you’ll get the photos now. Just click on the link below - WE TRANSFER is a simple tool that allows you to send larger files within a short time. Thanks to all of you for joining, organizing, sharing and caring. It was a great day - well worth the effort we took.